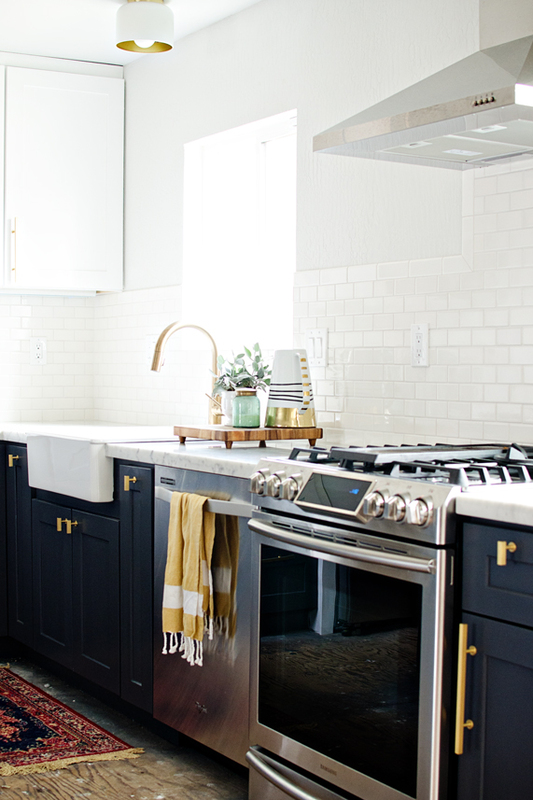 It’s such a difficult decision whether or not to have a kitchen island with color or no color? Lately I can’t stop thinking if I should paint the kitchen island a colour or not. I don’t have a kitchen island yet or even a kitchen for that matter. Just a gutted house but I’m thinking of paint colors for the cabinets and interior walls and I just got the drawings back for the kitchen layout and I’m super excited! I’ve always had an all white kitchen. I adore them. But do I want to add in a color? I know what you’re thinking…who me? COLOR? COLOUR? It will still be a neutral color of course. Everyone seems to have a colored island. 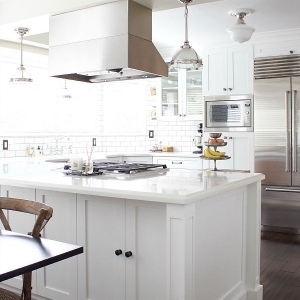 But then everyone always seems to do an all white kitchen. So I guess it really doesn’t matter what I do it should just be something I love. So the question is all white kitchen? Or white kitchen with a colored island? These light grey colours are just gorgeous. 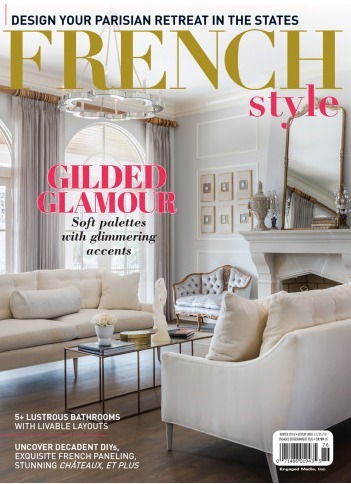 I’ve been dying over this French black kitchen since the Style at Home magazine landed in my mailbox. Wow! Stunning. The gold touches go so nicely with it. 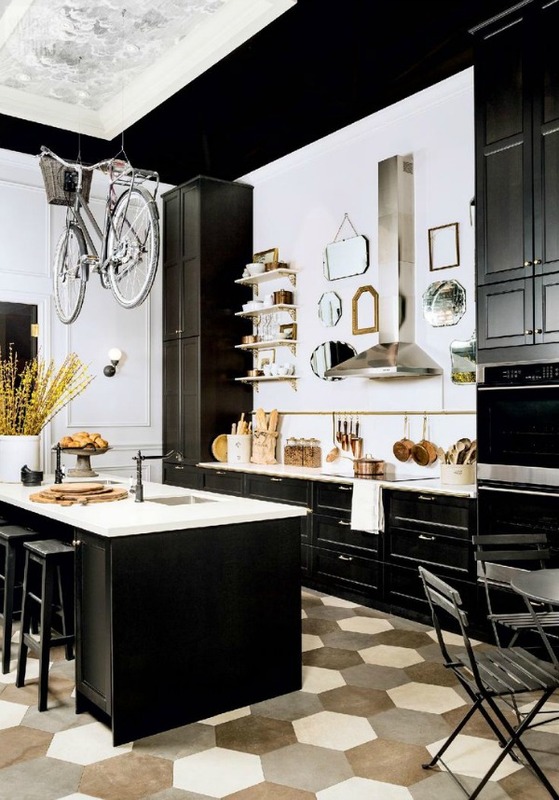 I’m not this bold to do a whole kitchen black but an island? 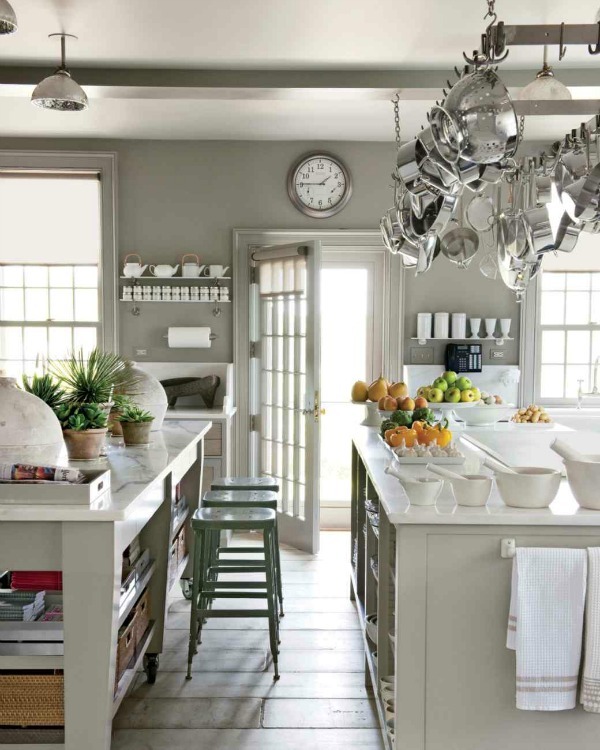 Martha Stewart first came out with a grey kitchen years ago. I thought she was crazy. Of course she’s ahead of her time. It’s really just timeless. This colour island would be gorgeous. 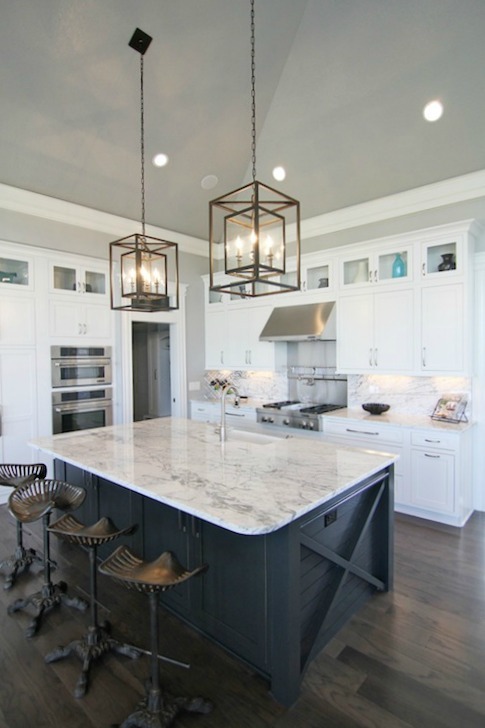 This charcoal grey island looks great against the white cabinets and marble. This one is gorgeous too, navy and gold! 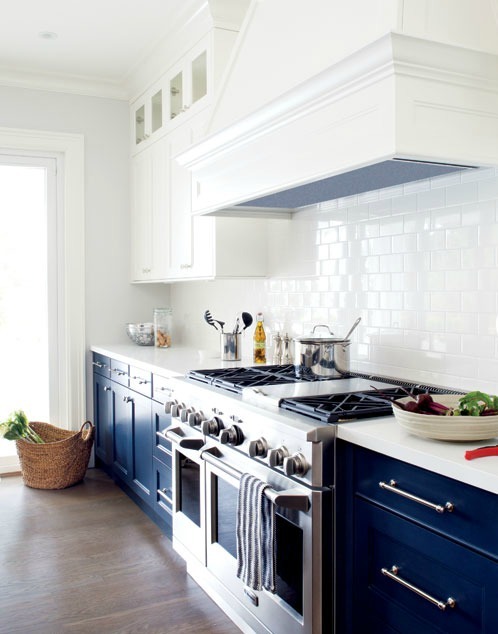 And this navy and white kitchen is just down the hill from me designed by Kelly Deck. 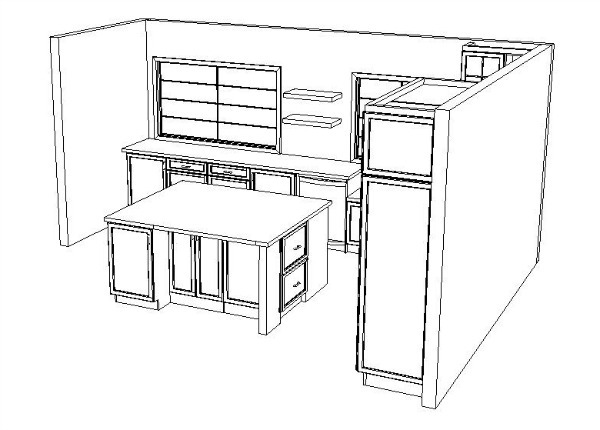 So here is a drawing of my new kitchen layout. I’ve been working with a designer on the layout as a wall is coming down and I want to make sure everything is perfect. 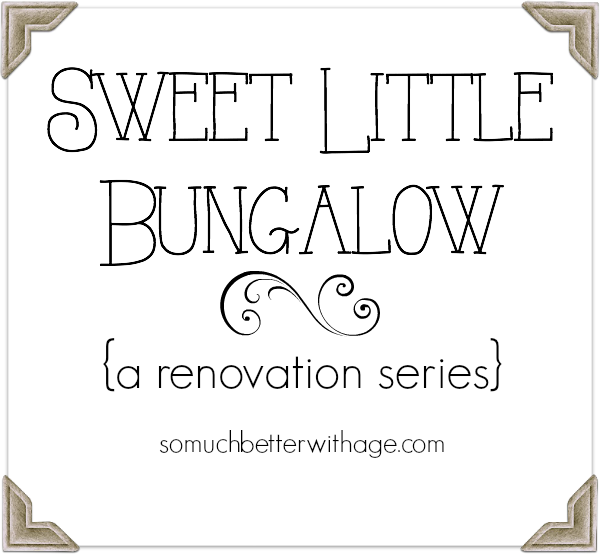 Want to see more Sweet Little Bungalow posts? 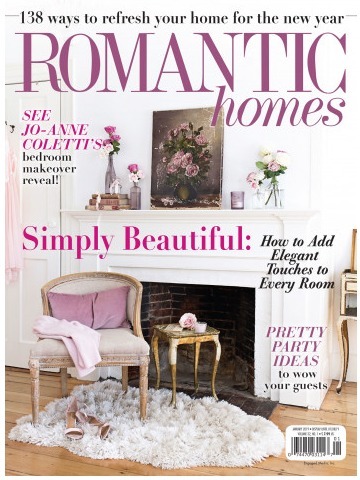 hey girl – Love the post! Hmm I’m just not sure about the island color or white? I’m sure whatever you pick will be so pretty! Good luck, have fun in the process! Can’t wait to see the house when it’s all done!! Thanks Shawnna. I know, it’s hard, right? 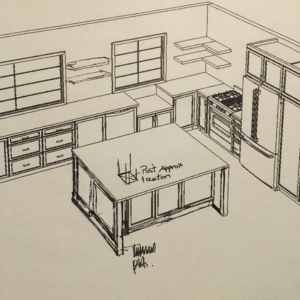 So exciting to be planning a kitchen! Our kitchen is white with a stained cherry island. Not a reddish cherry but more brown. Anyway, I went with stained because I have 2 boys and I knew the island would get the most use. I am already paranoid enough about having white cabinets around the perimeter. I thought at least one area would feel a little safe in my house. I like having the contrast but now I am having trouble choosing counter stools and a new table and chairs. 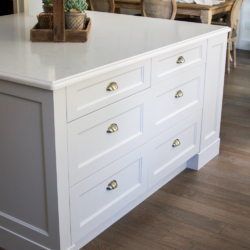 It would have been easier to go with all white for the cabinets or a painted island so I could just do a wood table. The more I see painted islands, the more I am attracted to them and all the inspiration photos you showed are just beautiful! Good luck making your decision. Can’t wait to watch the progress! Thanks for your tips, Shelley! 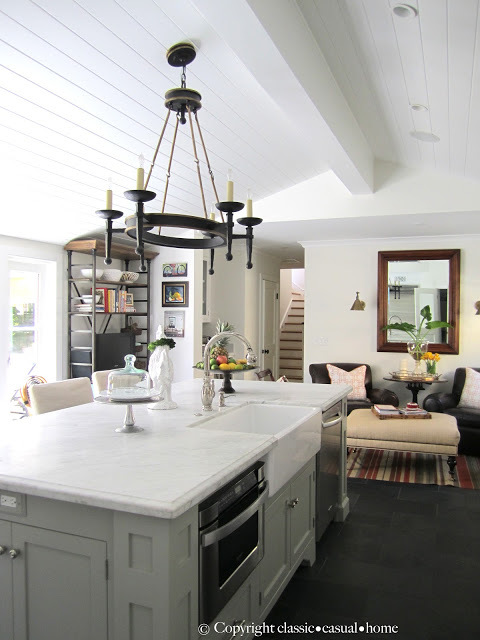 I love the contrast when the island is stained or painted a color and the rest of the kitchen is white. But, Shelley makes a good point. It might be more challenging to choose other pieces to go in the area. I suspect you are going to have marble counter tops and I think a shade of gray would be gorgeous. If you tired of it, you could always paint it to match your cabinets. I’m sure whatever you decide you kitchen is going to be stunning. Very happy for you and I’m looking forward to you sharing the journey with us. So true, thanks for your tips, Jeannie. 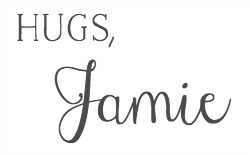 Great post Jamie. 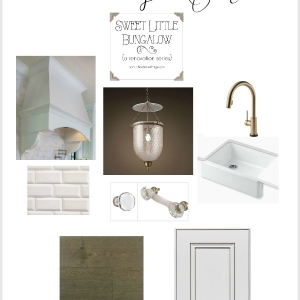 Love those kitchen inspirations and I can’t wait to see your kitchen all done in white with gold accents. 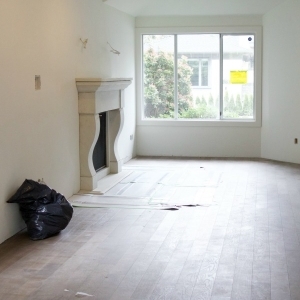 I think a neutral paint color for the island would look amazing and still be easy to coordinate with. Grey is always classy and that black, wow! Go for it! 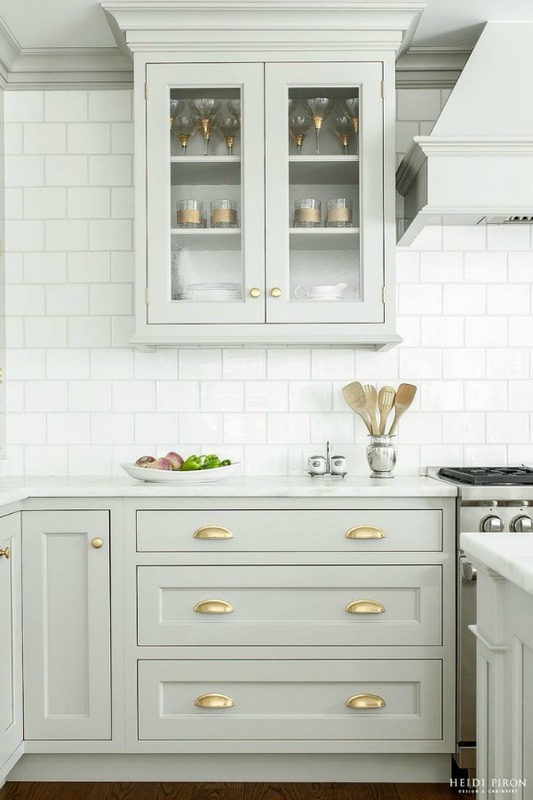 I was told by a designer that white never goes out so my cabinets are white since that would be a big permanent thing to have to change with a lot of expense. But my island I wanted to paint and it has a butcher block top. 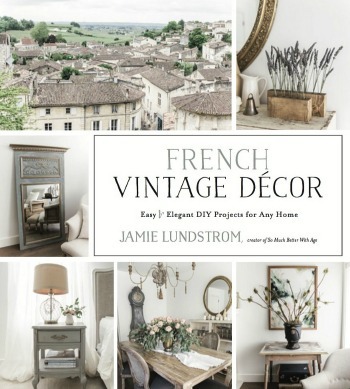 She said that if I could anchor my color somewhere else in the house that would make it not look out of place and flow, to look around at what I have to help me decide on a color. I have a black surround on my fireplace and I thought of that, but black is not my color. So I choose red and I painted the inside of my front door red to match the outside of my front door. Then painted the island the same red. It is more of a cranberry, a very rich looking color and now everything flows. I love it and so does everyone else. Just a thought. Thanks so much for these tips, Carol. You have beautiful taste so whatever you choose will be wonderful. By the way, as an American, I think it’s absolutely charming when you write “colour.” ? I have always loved an all-white cabinet look in kitchens, but 2 years ago I decided to change it up a bit. We live in coastal South Carolina, so I went with white cabinets and a pale aqua (think robin egg blue) island. I have a marble countertop and the walls are the same pale aqua color family as the island. After 2 years, I am not at all tired of it, quite the opposite, and I think I would be bored with an all white cabinet kitchen. Pick a color you LOVE and you won’t be sorry! Good luck! Great advice, Dee Ann! Thanks so much for the advice.